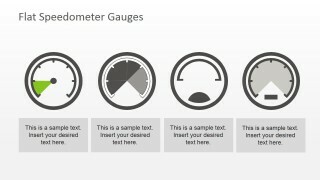 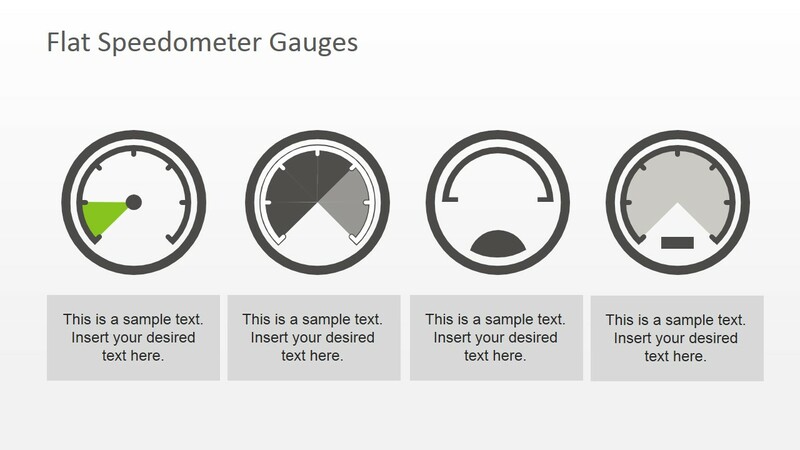 Free Flat Speedometer Gauges for PowerPoint contains useful flat gauge shapes and speedometer design that you can download and use in your PowerPoint dashboards. 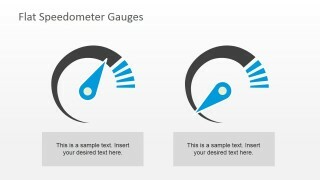 If you need other creative dashboard designs you can check the gauges & dashboard PowerPoint templates collection. This free product can be used to evaluate our designs and you can see how easy is to edit the slides and adjust the needle to match any desired position by rotating the needle shape in Microsoft PowerPoint.